Now open at MetaLES is the third instalment of Ux Hax and Romy Nayar’s 4-part series of scenes entitled Escenas / Scenes. Taken together, all four parts are apparently intended to tell a story, although they are not necessarily being presented in chronological sequence. While I missed the first in the series, EL Tiempo / The Time, which ran from November 1st through to the 14th, I did catch the second element, Decisiones / Decisions, which I wrote about here. This has now been replaced by El Miedo /The Fear, which opened on November 28th, and will remain at MetaLES for the next two weeks. And like the first two in the series, it is an installation on a gigantic scale. Central to the piece is a woman standing in a room. A tall clock sides to one side, a sideboard to the other alongside an open window. Behind her, the door to the room stands slightly ajar, almost beckoning. Towering over all of this is a truly enormous figure of a crouching man, arms wrapped in a straitjacket, while before the woman – who is arrayed in black – a baby’s crib fades repeatedly in and out of view. The first thing which tends to spring to mind on seeing the main scene – the woman and crib in the room – is that it reflects the loss of an infant child; but what then of the looming figure of the straitjacketed man? What role does he play? The husband / father, perhaps, driven mad over the loss of the child? The cause of the baby’s death? Or something else entirely? Both Decisiones / Decisions and EL Tiempo / The Time seemed to me to resonate with elements of the Major Arcana from the tarot – The Hermit appearing in EL Tiempo / The Time; with Justice, The Chariot and The Hanged Man in Decisiones / Decisions. Within El Miedo /The Fear there is what appears to be at least one reference to the tarot; supported in the woman’s cupped hands is a stone tower, perhaps representative of The Tower from the Major Arcana. If this indeed the intended symbolism, it fits the broader part of the story: The Tower is associated with sudden, disruptive, and potentially destructive change – and what could be more destructive and disruptive than the death of an infant child? But there is potentially more here as well. The Fool is another card from the Major Arcana, and is more archaically known as Le Mat or Il Matto, which as well as meaning “vagabond” – the usual depiction of The Fool in tarot decks -, can also mean “the madman.” Thus, it’s very hard not to see a degree of further symbolism linking this scene with the tarot through the (mad?) man in the straitjacket. There are two other symbols event in the piece which also appear in the previous parts: time and the crow. Quite how they fit into things is unclear; but in EL Tiempo / The Time, the clock suggested the subject of death to me – and the wheel of fortune elements of Decisiones / Decisions focused around The Hanged Man may have carried similar connotations; so again, it might be a further thematic flow evident here as well, through the grandfather clock as it presides over the woman’s apparent mourning and the fading crib. The crow’s presence, as he stands upon a table might present a two-fold role: that of our narrator or communicator through the scenes, or possibly as The Trickster. Once again, I offer no attempt to present a complete interpretation of the story – or even this particular scene. With one more piece still to appear in December, it would be presumptuous to offer commentary on the story as a whole, while the notes I give on this scene are more thoughts rather than any attempt at interpretation. If, like me you have been intrigued by the first two parts of Escenas / Scenes, then I do urge you to see Part III. Cool VL Viewer Stable version updated to 1.26.16.1) on November 28th – core updates: fixes and improvements (release notes). ARNICAR India creates beautiful water-themed regions which can mix the natural and the surreal in a perfect blend to produce a lasting memory of a place that’s easy on the eye, heart and mind and where the soul can find peace. Her latest creation, Everlong, is no exception in this. The landing point features a small stage, the backdrop to which extols visitors to Celebrate (the moments of your) Life, as a little troupe of rabbits perform ballet on bleachers close by, and a piano and cello await their players. As the sun sets to the west, it falls across a series of small vignettes lying across the ankle-deep water, awaiting exploration. The central, and largest of these features a ruined house with bric-a-brac and mementos within, a huge gnarled tree standing over it and seating amidst the wet grass outside. Follow the stepping stones through the garden wall and a little yard awaits, Christmas trees partially decorated. Here is another little sitting area, the chairs arranged on an unflooded stone floor, while a watery avenue leads onward between silver birches, to where Bryn Oh’s Milkdrop sits, and a little further beyond her, a boat suspended beneath balloons awaits. Balloons are something of a theme here; head west and a little north from the ruined house and you’ll find a snowy set of islets amidst more silver birch, connected by a wooden bridge suspended under three hot air balloons, while a little balloon cart sits nearby. Despite the minimal approach, there is a lot to see within Everlong, and not all of it on the ground – keep an eye out for the ladder to discover another winter’s scene, where you’ll find more to see and places to sit on your own or in the company of another. And don’t miss a ride on the horses or the photo booth behind the house ruins, which offers amusement of its own. As with ARNICAR’s Imagination, which I wrote about here and here, Everlong presents a water focused peaceful setting, beautiful minimal in approach, yet offering a lot to captivate the eye and camera. Not a placed to be missed by the keen Second life explorer. Blue Origin, the private space company founded by Amazon billionaire Jeff Bezos has become the first company to successfully launch a rocket into space – and return all elements of the vehicle to Earth for re-use. The flight, carried out in West Texas, took place on Monday, November 23rd. 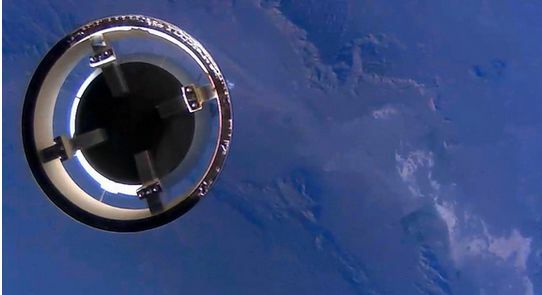 It comprised the company’s New Shephard capsule, being flown in an uncrewed mode, and a single stage, recoverable booster is powered by an engine also developed by the company. Unlike SpaceX, Orbital Sciences, Boeing and Sierra Nevada Space corporation, all of whom are directly pursuing rocket and space vehicle designs capable of orbital flight, Blue Origin is taking a more incremental approach, with efforts focused on the sub-orbital market “space tourism” market. The company is looking to build a cost-effective launch system capable of lifting small groups of paying passengers into space on ballistic “hops” which allow them to experience around 4-5 minutes of zero gravity before returning them to Earth. The November 23rd flight saw the uncrewed New Shephard vehicle hoisted aloft by the booster system which reached a speed of Mach 3.72, sufficient for it to impart enough velocity to the capsule so that it could, following separation, continue upwards to an altitude of 100.5 kilometres (329,839 feet), before starting its descent back to the ground and parachuting to a safe landing. Following capsule separation, however, the booster rocket Also made a control descent back to Earth, rather than being discarded and lost. The design of the booster – which Blue Origin call the “propulsion module” to differentiate to from a “simple” rocket – means it is semi-capable of aerodynamic free-fall, and won’t simply topple over and start tumbling back to Earth. At 6.5 kilometres (4 miles) above the ground, a set of eight drag brakes are deployed to slow the vehicle, with fins along the outside of the module allowing it to be steered. At 1.5 kilometres (just under 1 mile) above the landing pad, the unit’s motor reignites, further slowing it to a safe landing speed and allowing it to precisely manoeuvre itself onto the landing pad. Highlights of the actual test flight, mixed with computer-generated scenes of the New Shephard capsule carrying a group of tourists on their sub-orbital hop was released by Blue Origin on November 25th. One of the first to congratulate Blue Origin on their flight was Elon Musk, the man behind SpaceX, which is also pursuing the goal of building a reusable rocket system, but had yet to achieve a successful recovery of the first stage of their Falcon 9 booster. However, as Musk pointed out, there are significant differences and challenges involved in bringing a sub-orbital launch back to Earth and a booster which has to reach far higher velocities in order to lob a payload into orbit, as SpaceX is already doing. Not that Blue Origin doesn’t have orbital aspirations; both the “propulsion module” and New Shephard are designed to be integrated into a larger launch vehicle capable of placing the capsule into orbit. The November 23rd flight itself marks the second attempt to launch and recover both New Shepard and the propulsion module; in April 2015, the first attempt succeeded in recovering the capsule, but a failure in the drag brake hydraulic system on the propulsion module resulted in its loss. 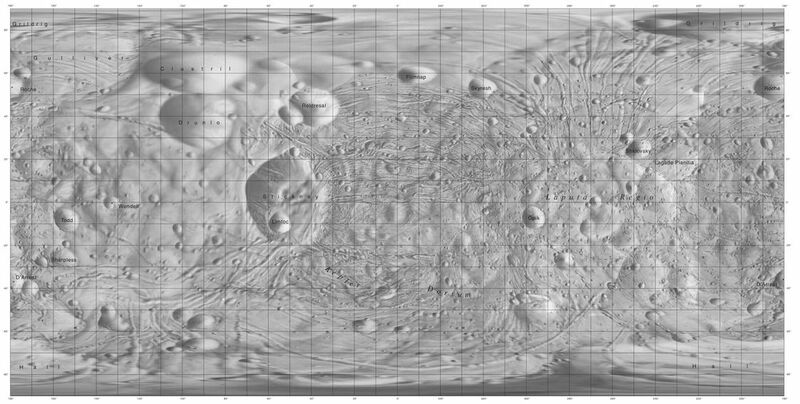 Martian Moon Starting Slow Breakup? Mars has two natural moons, Deimos and Phobos. Neither are particularly large; Deimos is only 15 × 12.2 × 11 km in size, and orbits Mars once every 30 hours; Phobos measures just 27 × 22 × 18 km, and orbits the planet once every 7 hours and 39 minutes. Both exhibit interesting properties, in that Deimos is slowly moving away from Mars, and may even break from Mars’ influence in a few hundred million years. Phobos, however is doing the reverse; it is gradually closing in on Mars at a rate of about 2 metres (6.6 ft) every 100 years. This means that over time, it is being exposed to greater and greater gravitational forces as it approaches its Roche limit. Caledonia Skytower and Kayden Oconnell share fun short stories and scenes to ease people over the holiday hump between Thanksgiving and Christmas. Gyro Muggins concludes his reading of Frank Herbert’s Murder Will In, which first appeared in The Magazine of Fantasy and Science Fiction in 1970, and most recently formed one of the stories in the collection Eye, published in 2014. Afterwards he commences Rod Sterling’s 1961 story for The Twilight Zone, Mr. Dingle The Strong. Welcome to the unique world of Bailey White. Her aunt Belle may take you to see her bellowing pet alligator. Her uncle Jimbuddy may appal you with his knack for losing pieces of himself. Most of all, you may succumb utterly to the charms of Baileys mama, who will take you to a joint so raunchy it scared Ernest Hemingway or tuck you into her antique guest bed that has the disconcerting habit of folding up on people while they sleep. White’s indelible vignettes of Southern eccentricity have entranced millions who have heard her read them on NPR. Mama Makes Up Her Mind is as sweetly intoxicating as a mint julep and as invigorating as a walk in Whites own overgrown garden. Faerie Maven-Pralou officially starts-up Seanchai’s Christmas season by opening the covers of this treasury of 30 seasonal tales which brings together stories from writers of many eras and styles, including Charles Dickens, Shirley Jackson, and Sue Townsend and Robert Swindells and Philippa Pearche. Featuring a host of characters and stories covering every Christmas theme, including 10 specifically commissioned for this anthology, The Oxford Book of Christmas Stories is the ideal way to slip into the festive spirit, whatever your age! Shandon Loring shares James Allen’s The Realm of Midnight and other Christmas stories. It’s that time when seasonal themes come to the fore; as the year starts to fade and the northern hemisphere feels the chill of winter; when snow, ice and frosted scenes slowly spread across Second Life, bringing with them the anticipation of Christmas and holidays, and a range of activities best served by that blanket of snow. As much as I love wandering Second Life and finding places to visit and explore, it is often the winter scenes that attract me the most. I’m not much into all the twinklies and stars and glitter and decorations; but winter in Second Life oft presents us with idyllic, picturesque and tranquil scenes of snow and winter, it helps those of us trapped in the dreary reality of rain, cold winds, sleet and slippery paths, to escape to an altogether more pleasing and comforting winter. In 2014, one of the wintry locations I particularly enjoyed visiting was Lauren Bentham’s Storybrooke Gardens. It’s a place I’ve visited numerous times since it first opened, high above Baja Norte; one which offers a changing environment through the year in which visitors can escape the world at large – physical or virtual. I’m happy to say that this year, the winter theme has returned, and is largely unchanged from 2014. So, if you missed it then, now is the perfect opportunity to enjoy it. This is a place where the snow has fallen rich and deep, blanketing the garden fully, and long enough such that paths have been trod across it to lead visitors around the trees and bushes and from scene to scene, amidst the muted tones and occasional burst of colour. There is much to see here – more than may at first be apparent – so take your time with your explorations, and be sure to have local sounds enabled to capture the rich ambient sound scape as you wander the paths and drift from little vignette to little vignette, greeted by characters and critter alike. Keep an eye out, as well, for the many places to sit and rest; this is a place where visitors are welcome to tarry and escape the bustle of life, be it spending time on a sofa, cuddling in a summer-house or laying on a blanket and watching the world go by. It’s hard to deny the charm and enchantment of Storybrooke Gardens, and if you’ve never paid a visit before, I think it safe to say that once you have, you’ll be coming back throughout the year to see how the seasons change things – just as many of us who be fortunate to discover the Gardens previously have always found ourselves drawn back once more, at least once a year.